Entrepreneur, multimedia artist YiZhou to celebrate the launch of her new fashion and lifestyle brand GLOBAL INTUITION, launching on September 20, 2018 at Fred Segal Sunset locations in Los Angeles. The first collection will include an exclusive, limited, one-of-a-kind bespoke collection designed using Swarovski crystals that will be featured in a special window display, co-created with YiZhouStudio, at Fred Segal’s iconic Sunset location in West Hollywood. 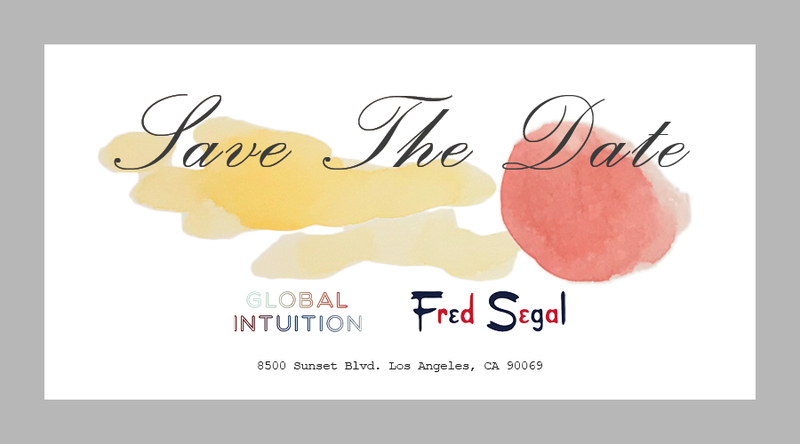 John Frierson, president, Fred Segal, comments, "Global Intuition is a truly modern brand for the global citizen. Designed simultaneously in Asia and LA, it marries art and fashion and pop culture. We’re happy to host Yi Zhou here at Fred Segal." GLOBAL INTUITION is inspired by social media and everyday life, digital philosophy and quotes, science and meditation and cross cultural eventful moments and exchanges. Founded by international multimedia artist and entrepreneur YiZhou, GLOBAL INTUITION is an American brand that highlights the cross border aspect of creativity and production today. The brand was conceived in the social media era, designed in Shanghai and Los Angeles and produced in China, with a focus on Chinese manufacturing, know-how and sustainability. Breaking away from traditional fashion show codes, the brand is completely based on the "see now and buy now" model. The brand's motto is "Minimal Soulful Luxury" for modern day social media citizens. The line will feature a basic line with an affordable price point, a classic line consisting of more expensive items with a higher price point, as well as special limited edition heritage lines. Chinese multimedia artist YiZhou was raised in Rome, Italy and studied in Paris and London, earning degrees in political science and economics. She is a polyglot artist whose video works have been shown at Shanghai Biennale, Venice Biennale, Sundance Film Festival and Cannes Film Festival. In 2010, she relocated to China and founded her creative strategy digital production company YiZhouStudio www.yizhoustudio.com in Shanghai and Hong Kong. She founded YiZhouStudio LA as the US branch in 2018. YiZhou is currently developing her first feature film as a writer/director and plans to invest into Hollywood and Chinese co-productions via her new company “Into the Sun Investment.” She is the founder of the new fashion brand Global Intuition that will launch in Fred Segal stores in September 2018. Global Intuition is pleased to partner with Castiglion del Bosco for wine, Tenuta Due Castelli for Prosecco, and Gelato Go for gelato, Sound Design by Hollywood Top entertainment attorney Robert Darwell. The Event is done with the generous support of the Italy-America Chamber of Commerce West. Consul General of Italy in Los Angeles Antonio Verde and his team at the Italian Consulate in Los Angeles.